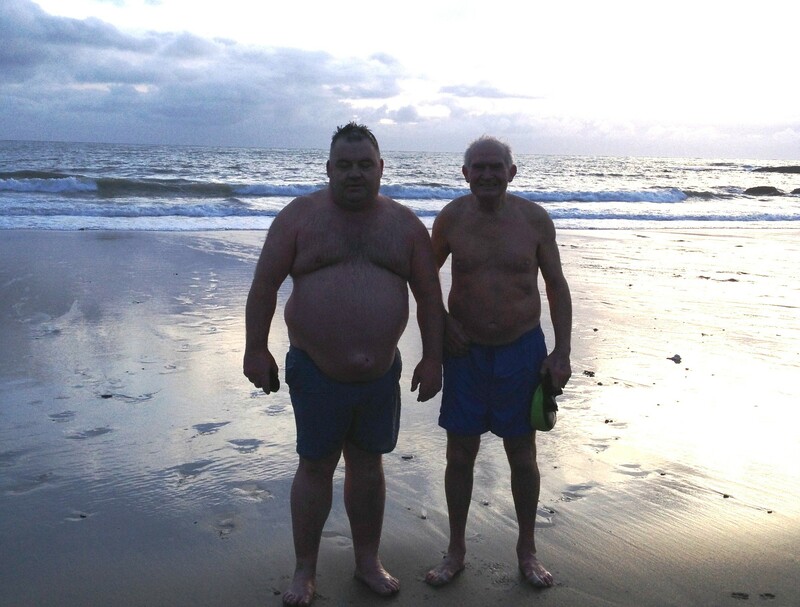 Tom Bermingham, Brian O’Connor and a regular group of hardy annuals swim in Myrtleville every day. Coming from the old-school, Tom describes the current January temperatures as being “like a bath”….Cold water swimming? These men don’t know the meaning of it! This entry was posted in Information and tagged Cold water swimming, Myrtleville swimming, Open water swimming - Cork, Open water swimming - Cork - Ireland, Sea Swimming - Cork - Ireland by myrtlevilleswimmers. Bookmark the permalink.